Asian moms are notorious for never wanting to throw a container away. Take-out containers, shoe boxes, you name it, they’ll keep it. As an Asian mom myself, I should have known that it was only a matter of time before I started to show the first symptoms of Asian Mom Container Repurposing Disorder. Well, at least I solved the problem of making my lipsticks more accessible so that I’ll be more likely to touch up during the day. 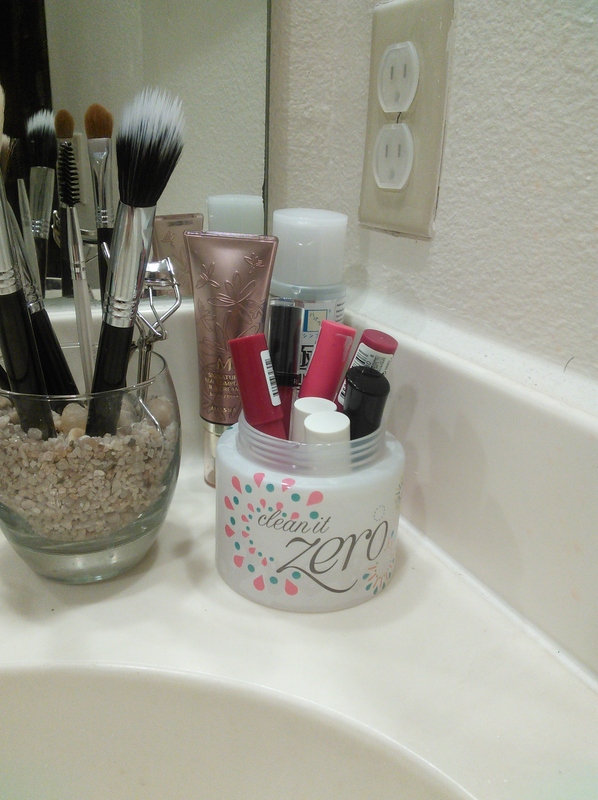 Do you keep your empty skincare containers? What do you do with them? ← My Innisfree Sale Haul is Here! AKA Hungarian Granny Container Repurposing Disorder. So many cool whip containers in the refrigerator, non of which actually contain cool whip.